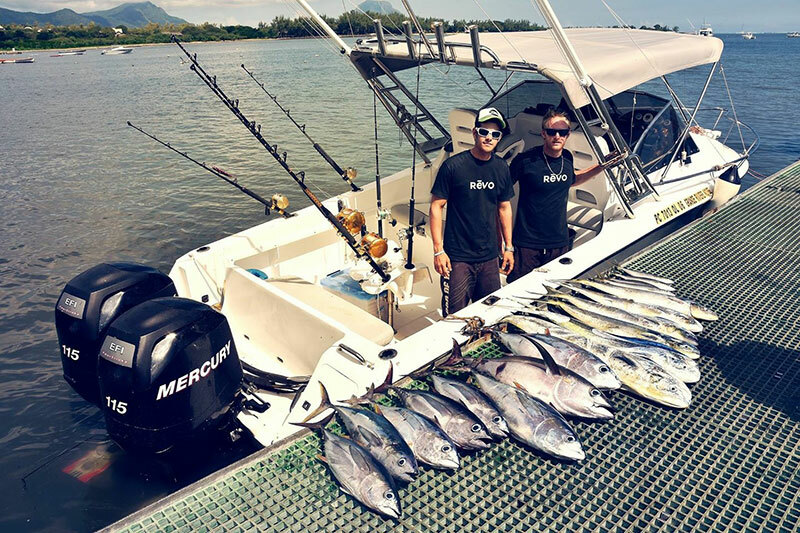 One of the main reasons that pushed us to open our own business was that fishing in Mauritius is possible all year long (even in winter even if many people think it’s not). 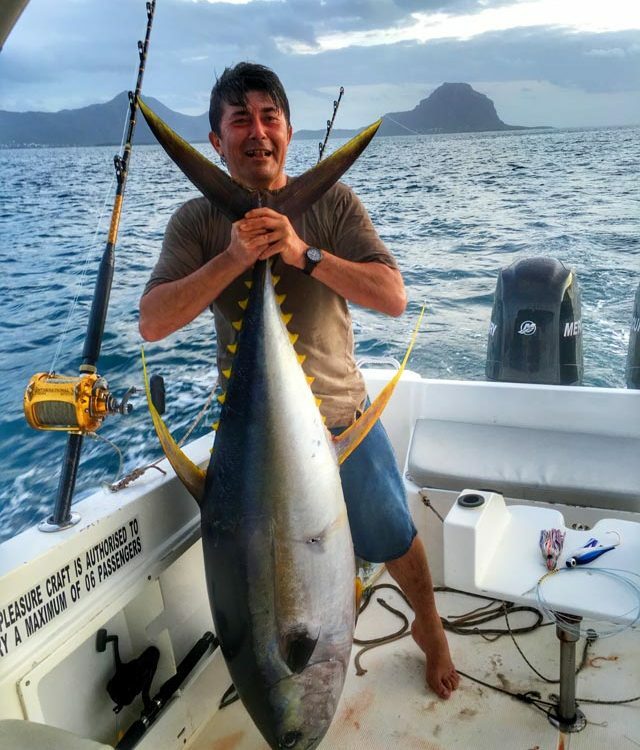 The opening date of Fish Whisperer Mauritius Ltd is the 5 February 2014 and the first two months as fisherman, skipper, director has been better than expected. Ouf!! After this incredible first day of fishing described in the blog 1, the fishing sessions that followed can be summarised as: CAN’T COMPLAIN AT ALL ! We are today the 3rd June 2014 and the weather forecast is super for another full day fishing trip. Quite strong wind, sea also quite rough, no sun! So let’s hit this fishing spot again. Once arrived, not that much activity! Aie… Lines are out and few bites but not as many as expected. We are disappointed because we were sure of that it would be a magnificent day again. 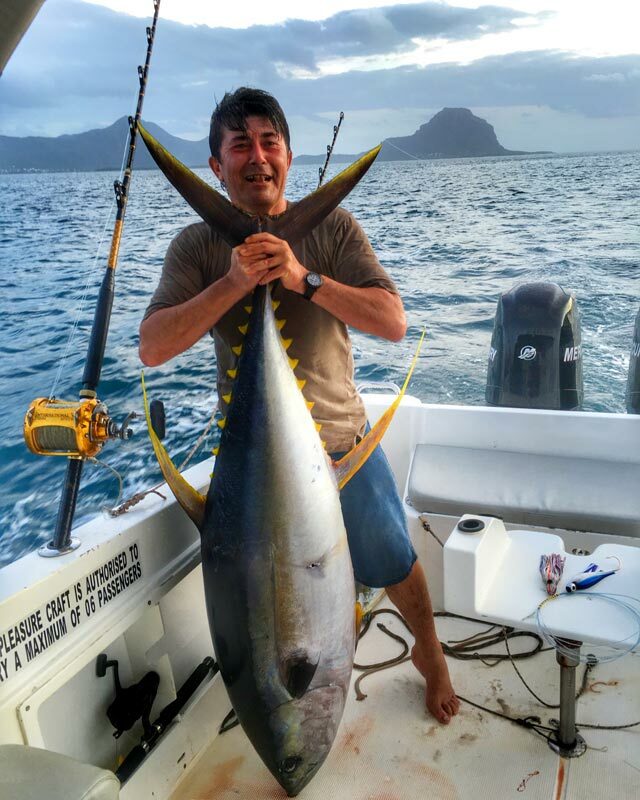 The result at 10h am is around 8 – 10 yellow fins, 1 mahi and a few skipped jack tunas. Then comes this big boat that is looking for marlins. It’s a friend of us. No need to tell you that our phone starts ringing : our friend is calling to have some fishing news. He tells us that he is going to try another spot that is 15 mins away from ours. Him: “Come guys, first passage two strikes. Second passage, two strikes. Now I am fighting another fish!” he said. HEY!! What must we do now? We quickly decide:” let’s go there”. The sea is now quite rough, but never mind, off we go! We arrived after a short time and now its UNBELIEVABLE! We start doing some jigging with 2 proper rods and every drop is a bite. So we took the casting rod to do jigging also! A bit a mission but it is working. The strikes are now three tuna by three! the strikes start to decrease. 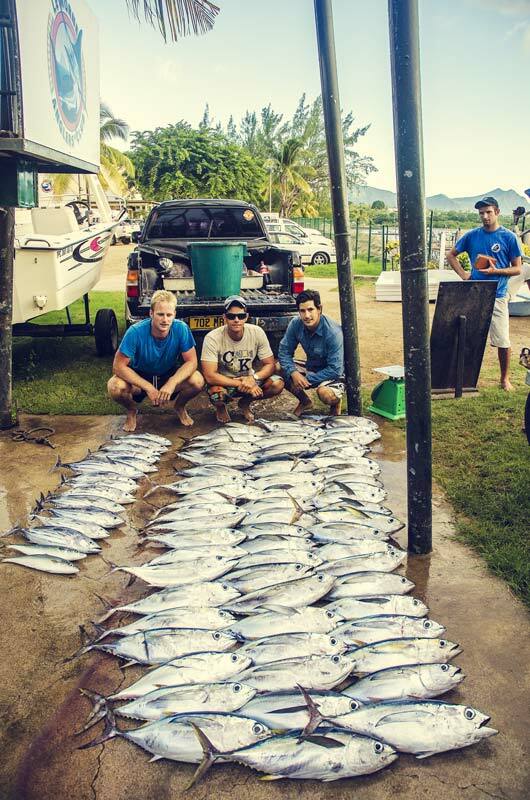 Result of this super fishing trip, 61 yellow fins and 25 skipped jack tunas. WOW! What a day again. No sure, we are NOT, because we were fishing with only three lines of 20 kgs each. 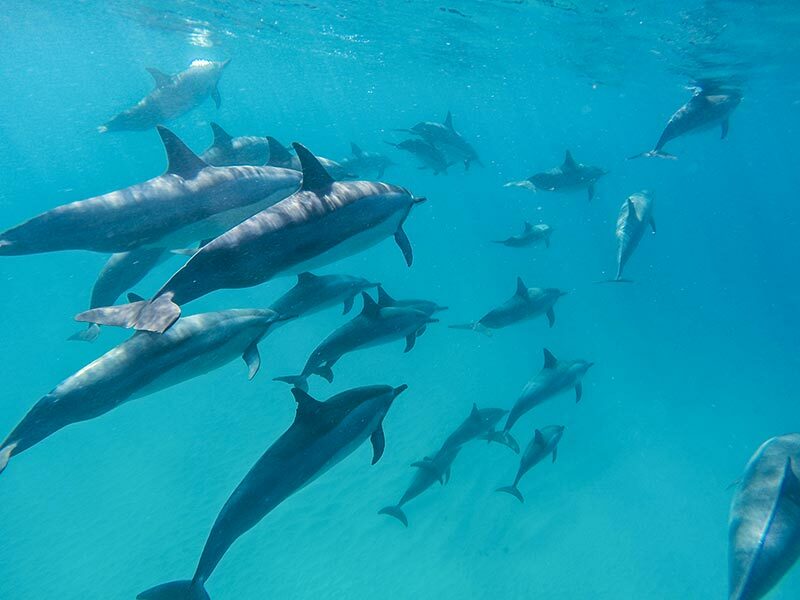 NO LONG LINES, NO NETS, the boat is only 5,4 metres long and, because we have other activities like Dolphin watching, we do not go on fishing trip every day and the catch of our fishing trip is definitely not as exciting as these two days ! So we keep going forward strongly! !